It appears that the row which has blighted the Irish show jumping team's preparations for the forthcoming Olympics has been resolved. The Equestrian Federation of Ireland today released a statement confirming the reappointment of Eddie Macken as team trainer for the Athens Games. Macken first took the post last February but was sacked by the Show Jumping Association of Ireland in June following a number of poor results in the Samsung Super League. However, that decision caused ructions amongst the team's most senior riders and at the association's annual general meeting members voted to instruct the board of directors to reappoint him. 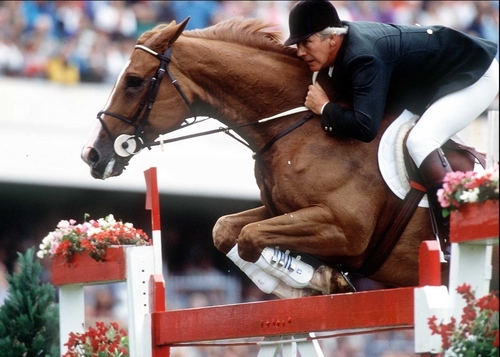 An EFI statement read: "Col. Ned Campion, Chef d'Equipe of the Irish Olympic and Samsung Super League show jumping teams, today appointed Eddie Macken as trainer for these teams. Col. Campion made the appointment in line with the wishes of the senior riders, and it has now been ratified." Campion added: "Eddie Macken, with his outstanding record and long experience, will contribute a lot to the team effort. He has been working with the riders since early in the year, and is familiar with the current form." Macken, who will also work alongside team manager John Ledingham aswell as Campion, has also been reinstalled as trainer for the Super League.